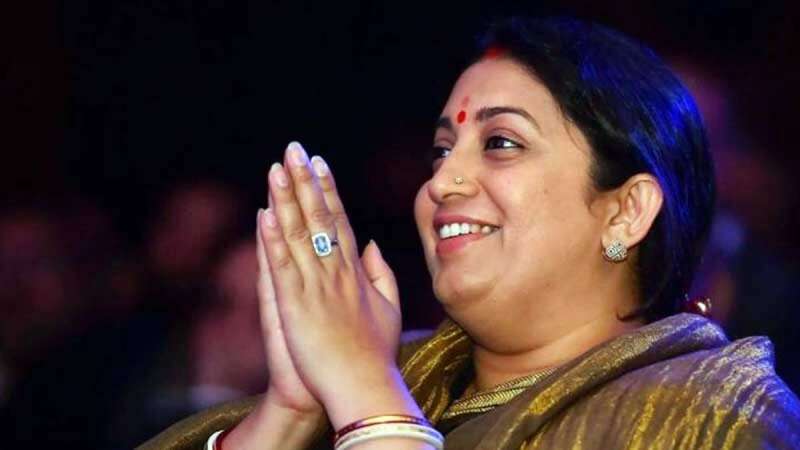 New Delhi : Union Minister Smriti Irani on Wednesday morning shared a meme on Indian Air Force pilot Abhinandan Varthaman, who was captured by Pakistan last week and then released to a hero's welcome. In the meme, two men are sitting for an exam, one is tagged as Pakistan and the other one as Abhinandan who is passing a chit to the first one. The second frame in the meme shows an angry Pakistan with the chit open that reads, "I'm not supposed to tell you this". The line has been picked up from the viral video, now deleted, of IAF wing commander Abhinandan under Pakistan Army's captivity. In the viral video, a Pakistani officer could be heard asking the pilot, "You hail from which place in India (sic)?" Abhinandan Varthaman replies, "Am I supposed to tell you this? Major, I am sorry. I am from down South." "I hope you like the tea," the voice says. The pilot replies that the "tea is fantastic, thank you." The Pakistani officer then asks which aircraft he was flying. Wing Commander Varthaman gives a stern reply. "I am sorry, Major. I am not supposed to tell you this but I am sure you found the records," he says. What was his mission? "I am sorry, I am not supposed to tell you this," the pilot repeats. The viral video was later deleted from social media as it violated the Geneva Convention.